A Moveable Feast Catering was established in the Fall of 1999. We have been proudly serving the North Shore and surrounding areas with the best possible ingredients and service. Our passion for well prepared and flavourful food extends to all of our customers. 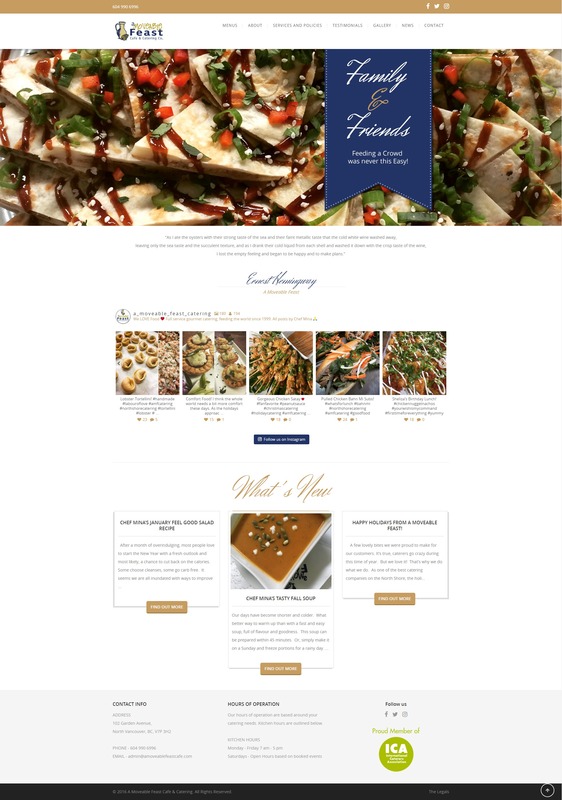 They wanted easily accessible menus, both online and PDF format for their catering customers to print and reference. They wanted to make sure their services, policies and contact info were clear and easy to find. They also wanted to showcase photos of their amazing food in a gallery as well as from their instagram.